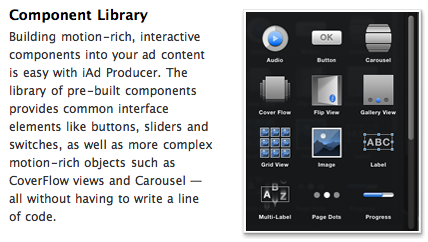 Apple has just made iAd Producer, the app for creating iAd ads, available for download to Apple developers. 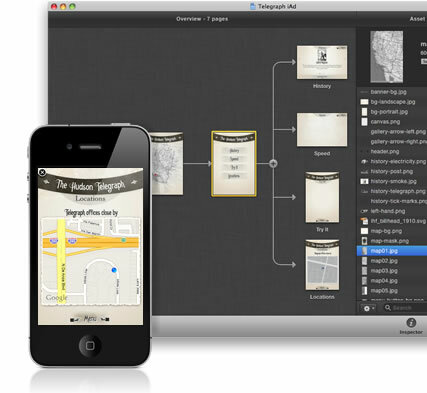 The app allows you to create the motion-rich and graphic heavy iAds. Steve Jobs originally showed off iAds earlier in the year at an Apple event as shown in the video below. The app provides many APIs you might already be familiar with from iOS app development, allowing you to utilize image carousels, grids, cover flow, and many other common iOS essentials. It also includes an extremely easy to use drag and drop interface for adding components from the built-in component library. On top of this, there are also pre-built animations and effects including wipes, fades, and cube transitions. iAd Producer, like the iOS SDK, also includes a simulator that will allow you to test your app on both your Mac and iOS 4 device. Devs part of the Apple Developer program can grab iAd Producer for free here. 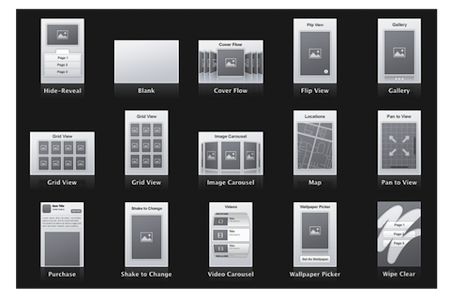 Below is a video of Steve Jobs introducing and demoing iAds earlier in the year.